The policeman Asger is transferred to the emergency call center for disciplinary reasons. The ever ill tempered officer finds his work to be all too tedious, until a young woman calls. She is utterly distraught and eventually makes Asger understand that she has been the victim of a kidnapping. For the quick-tempered police officer this means the beginning of a race against time. 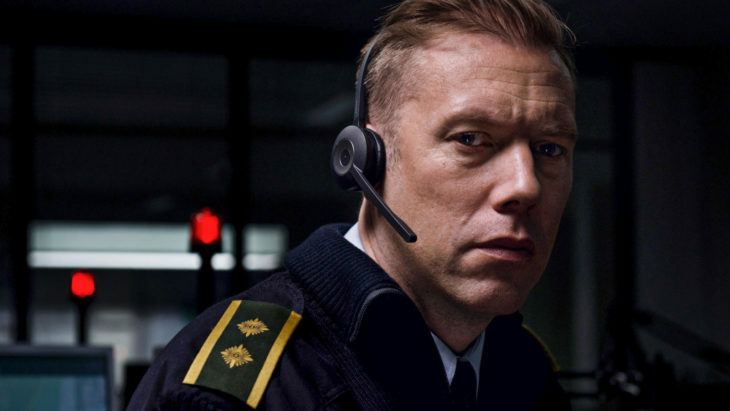 All of Gustav Möller’s minimalist thriller takes place inside the emergency call center: just like the protagonist, we witness the plot over the telephone. THE GUILTY is a perfectly composed high voltage power line in the form of a film that goes to prove to us again that what we imagine to be happening is infinitely worse than what we are shown.